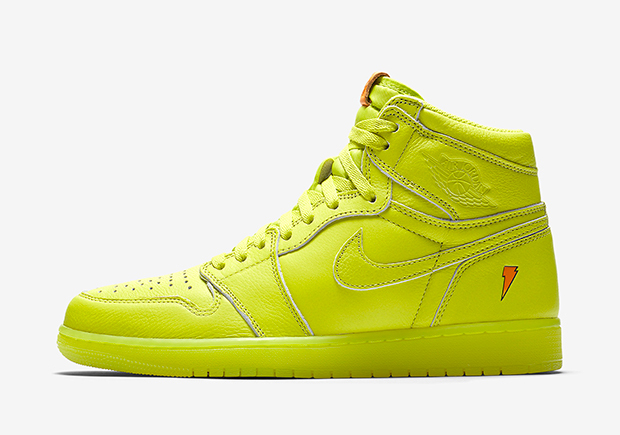 Update: The Air Jordan 1 “Gatorade” Pack releases on December 26th, 2017 for $175. 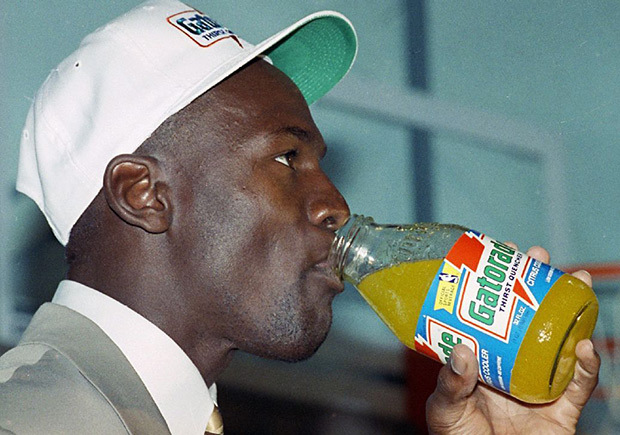 This October, Jordan Brand has plans on releasing a complete collection of footwear and apparel inspired by the popular sports drink Gatorade, a brand that Michael Jordan has endorsed for decades. From that partnership, one of the most iconic slogans of the 90s was born, galvanizing a nationwide movement sparked by the love of basketball and desire to achieve MJ-like greatness. 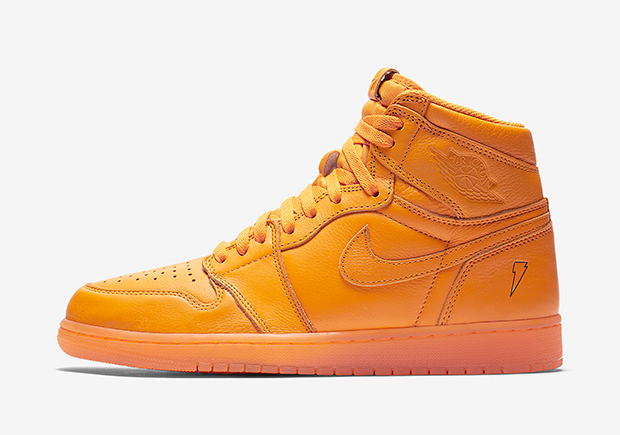 Releasing this October is four Air Jordan 1 Retro High OG options inspired by popular flavors of the Thirst Quencher drink. Orange, Lemon-Lime and what appears to be blue and purple will be part of the collection, possibly in tonal colorways. The Air Jordan 1 appeared in the unforgettable “23 vs. 39” ad in which a 39-year-old recently un-retired Michael Jordan went one-one-one with a 23-year-old Jordan wearing the Air Jordan 1. 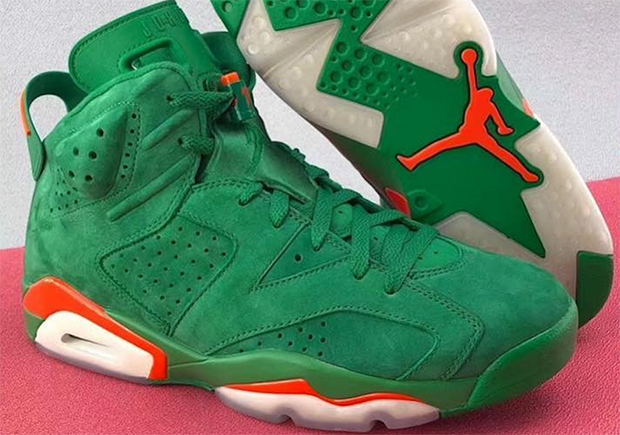 In addition to the Air Jordan 1 Retro High OG “Gatorade” Pack, it has been confirmed that the Green Suede version of the Air Jordan 6 Retro will also release at a higher price of $225. 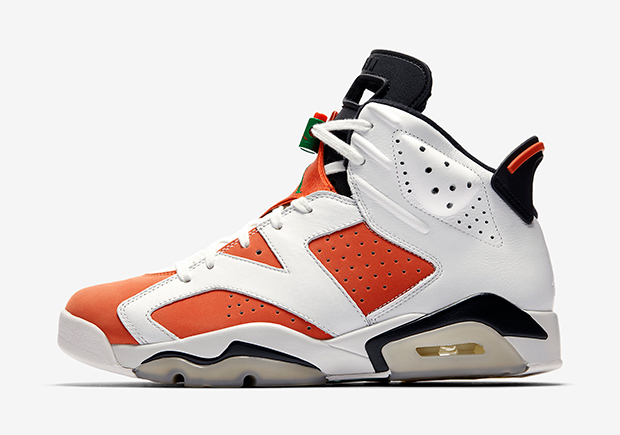 These are more limited than the white/orange/green pair of the Gatorade Jordan 6, which is currently scheduled for an October 28th release.